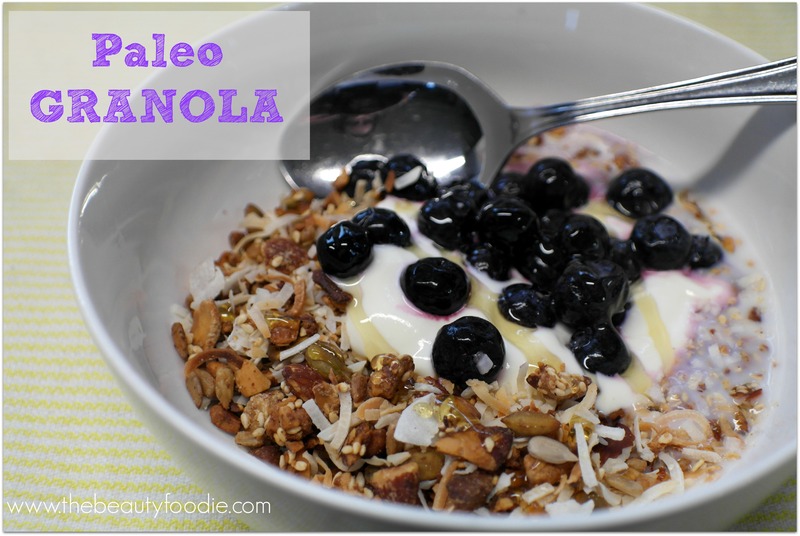 I love this paleo (and gluten free) granola recipe. 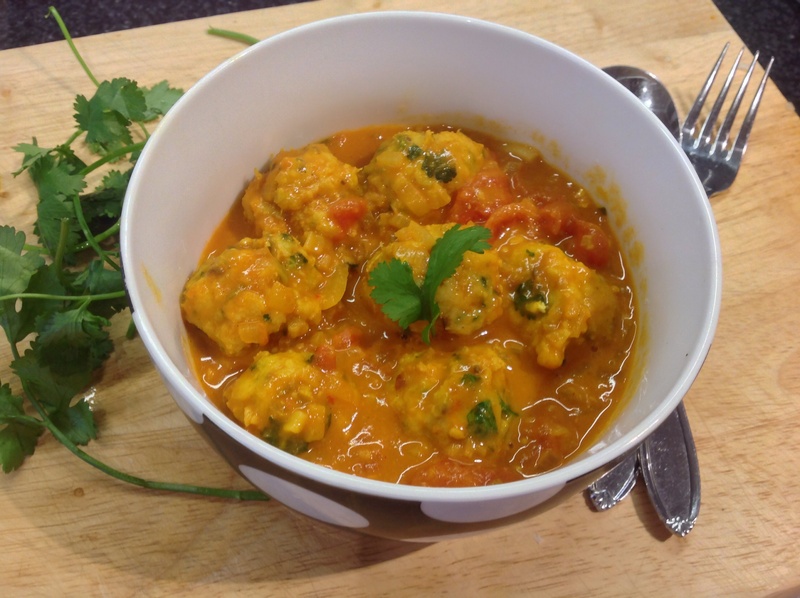 I’ve been playing around with variations of this recipe since I learnt a bit more about the Paleo way of life and, more importantly, since I attended one of Ben Warren’s seminars (if you haven’t heard of this guy, google him or check him out on Facebook. Nutritionally, he speaks a bucket load of sense). I’m not a paleo follower by any stretch of the imagination, however, I like the philosophy and I’m a big believer in eating clean. We’ve been slowly ditching processed food in our home – and we feel better for it. I found this little ripper of a recipe in Cuisine magazine years ago. I used to make this all the time when I was at uni and my (fellow foodie) buddy Ants would come over for dinner on a Sunday night. More often than not, I’d make this and we’d devour it. I also used to make this for the family I used to nanny for (I’d trek to work with my food processor tucked under one arm as they didn’t have one). The kids used to polish this off. I made this winter appropriate salad for dinner on Saturday night and both my vege-dodging husband and super-fussy friend scoffed this. In fact, my husband ate so much he complained “I’ve eaten too much” for the rest of the evening. However, this might have something to do with the chocolate fudge self-saucing pudding I made for the kids… That he tucked in to. When I made this I marinaded the chicken breasts for a couple of hours. 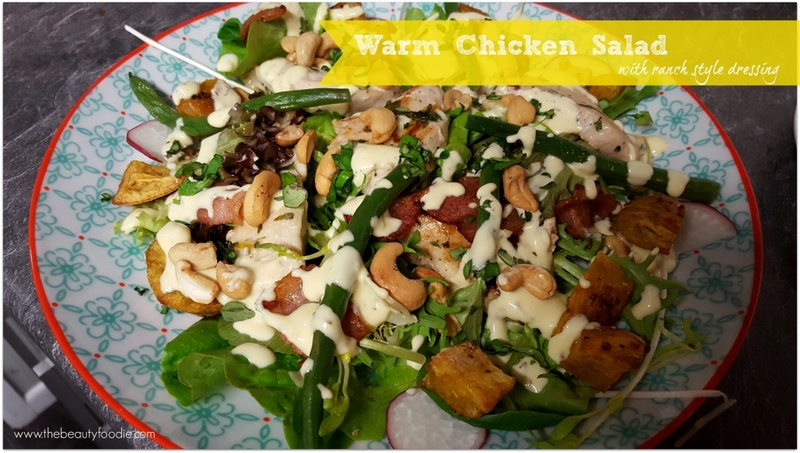 That said, I make versions of this salad on week nights and, not being a particularly organised creature, thinking ahead to put the chicken on to marinade is in the too-hard basket. So, as I do when I’m in ‘quick-cook mode’ simply pan fry the chicken sprinkled with some of your favourite seasoning (I love Masterfood’s Tuscan Seasoning, Moroccan Seasoning, or Mrs Dash Garlic & Herb Seasoning). Actually on that note, this whole recipe, like many of mine that you’ll find on my blog, is very much of the ‘improvise or get creative’ type. No kumara? Use pumpkin. No green beans? Use capsicum. No cashew nuts? Use almonds. No bacon? Leave it out. Lastly, the ingredients look like a lot – I get that. Take some shortcuts if you like, hell buy a pre-made Ranch Dressing to speed things up (Paul Newman’s is a goodie). There’s nothing ‘good for you’ about this pudding. It’s wicked. It’s also a crowd-pleaser, easy to make (you can whip the pudding up after your main course in ten minutes, rejoin your guests and dazzle them with your inner domestic goddessness) and you’ve probably got most of the ingredients on hand already. I do LOVE recipes where “nothing special is required”. 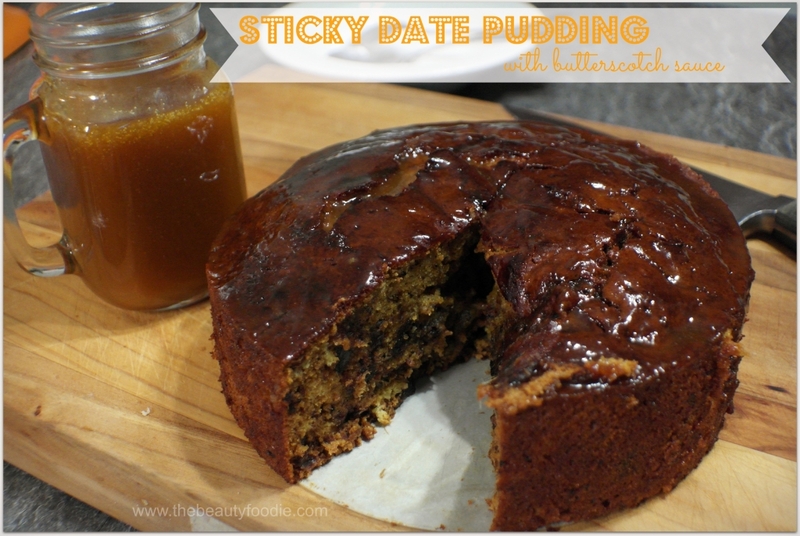 Just distance yourself from the butterscotch pudding: It’s addictive. 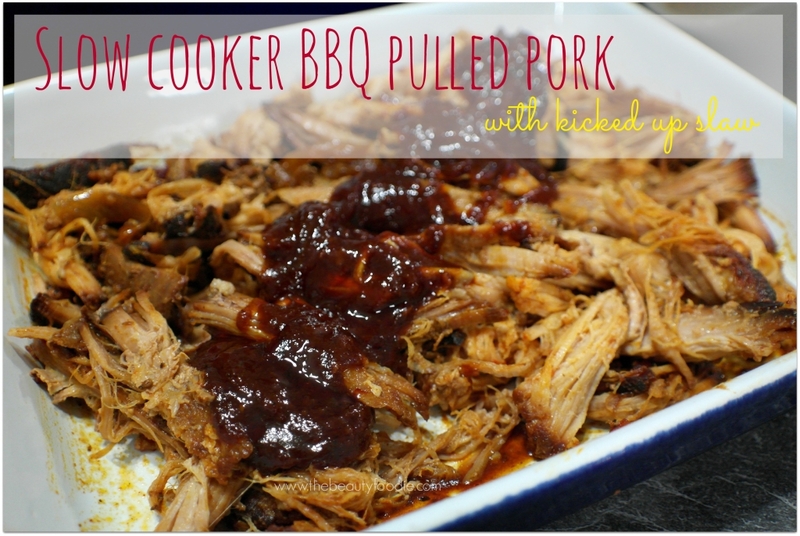 We’ve been having a fair bit of pork in our house, largely as I’ve been doing a bit of dinner prep in the morning and engaging my slow cooker in an attempt to eradicate ‘6.00pm dinner madness’. So, as a lover of my slow cooker, pulled pork, and anything with a BBQ sauce (coz everything is better with a sauce, as I’m sure Manu from MKR would agree) I’ve been trying to perfect a slow cooker pulled pork recipe, accompanied by a BBQ sauce that’s got no refined sugar (Sugar Free September last year has changed how I view sugar for life). Anyhow, I’ve been faffing around in my kitchen trying to perfect this recipe to get it to the point where it’s blogworthy. TAAA DAAA: My kitchen play time is done: This is a mighty fine dinner I’m rapt to be sharing with you! Bonus too: The delicious BBQ sauce is ‘sugar free’, though I have used honey to sweeten it (I wonder if apple puree would work? I’ll try that next time). The addition of kicked up slaw is a must in my opinion: I can’t get enough Broccoslaw (as mentioned in my recent March favourites blog post) or Sriracha Hot Sauce at the moment. 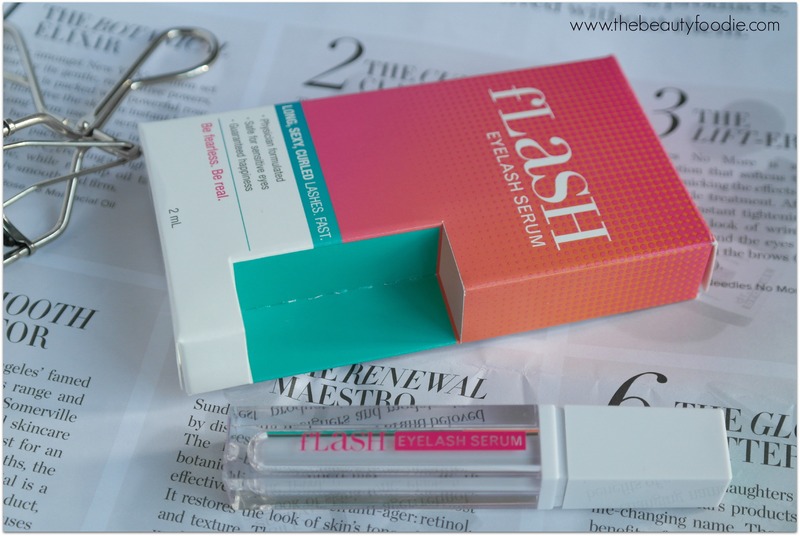 Give this a go – I reckon you’ll rate it as much as we do! PS: Do I need to mention that a great mayonnaise to use in the Kicked Up Slaw is this one? PPS: This meal is delicious with cauliflower mash, roast potatoes, or good old fashioned mashed spuds. Knock yourself out. 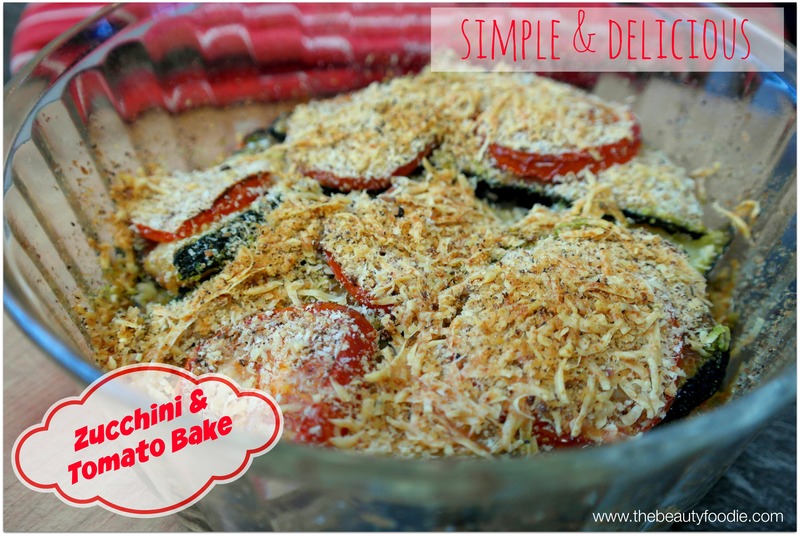 I used to make this deliciously simple zucchini bake dish all the time but I forgot about it until I was gifted a sh*tload of zucchini last month…I had zucchini coming out the wahzoo. I beavered away in the kitchen making zucchini salad, zucchini chocolate cake, zucchini curry, zucchini fritters (anyone else thinking of Forrest Gump right about now?) 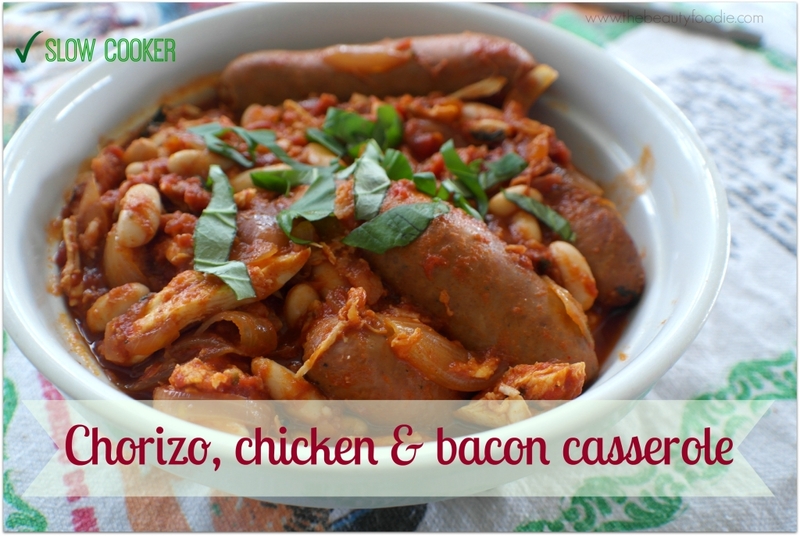 when something jolted my memory and a little voice in my head said ‘hang on!’ – what about zucchini/tomato bake? And I’ve made it three times since in the last few weeks, it’s that good. Note, it might look a tad dry on top, but trust me: Once you cut into it, the moist goodness of the melted zucchini and tomato hits you. I love the crunchy topping as a contrast. Mmmm. 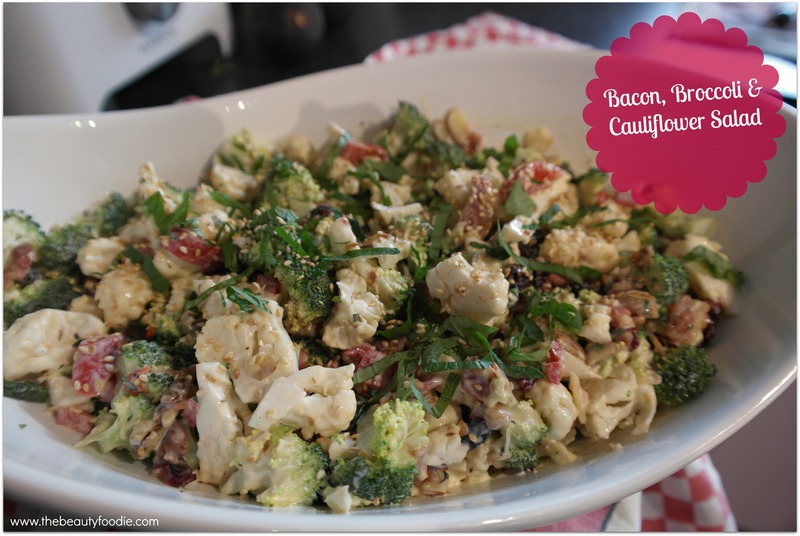 I’ve been making this delicious salad for years, however it recently got an extreme makeover! My friend Emma sent me her cauliflower and broccoli salad recipe, which is really similar to mine, but it had a few extra ingredients that I just knew would take the recipe to a whole new level. Emma’s addition of sweetness and vinegar in the creamy mayo dressing, as well as cauliflower a main ingredient, well… Oh yes. See for yourself! 2 heaped tablespoons of fresh herbs (you choose, I use any of the following: Flat leaf parsley, basil, mint – use what’s on hand!) – reserve some for ganish! Place salad ingredients in a large bowl. Mix all the dressing ingredients together in a separate bowl. Add the dressing ingredients to the salad – mix well. Top the salad with the reserved herbs as a garnish.